The Sign Wedge Pavement Sign is a High Quality yet affordable Pavement Sign. 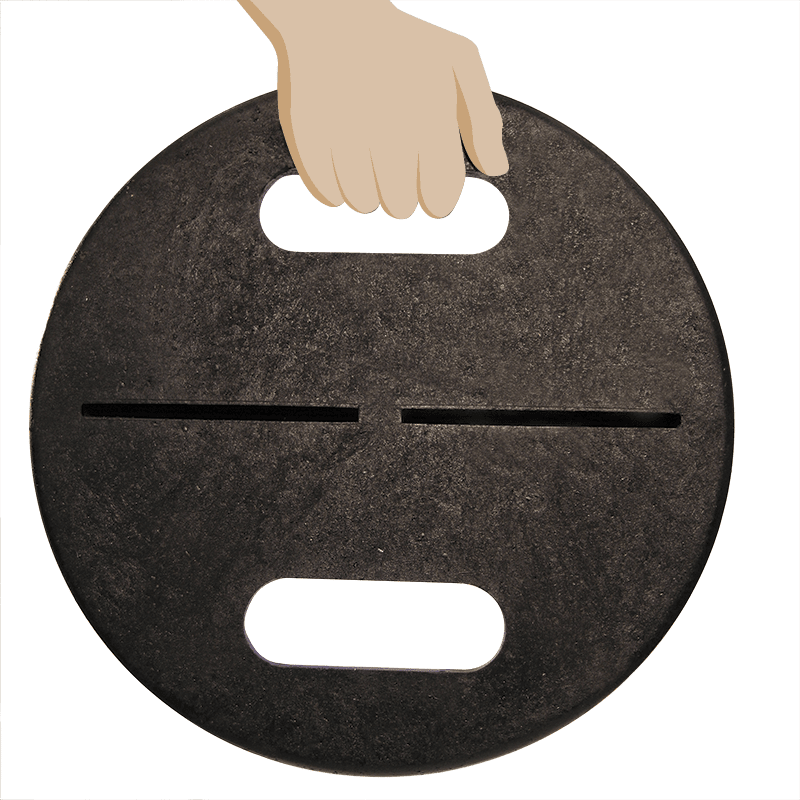 A heavyweight recycled PVC base grips a 740mm x 410mm double-sided graphic panel. No tools are required to assemble the sign wedge as the metal graphic panel simply pushes into the base. Replacement panels are always available from Banner World from just £49.00 each. Shaped graphic panels are available on request, minimum order quantities apply. 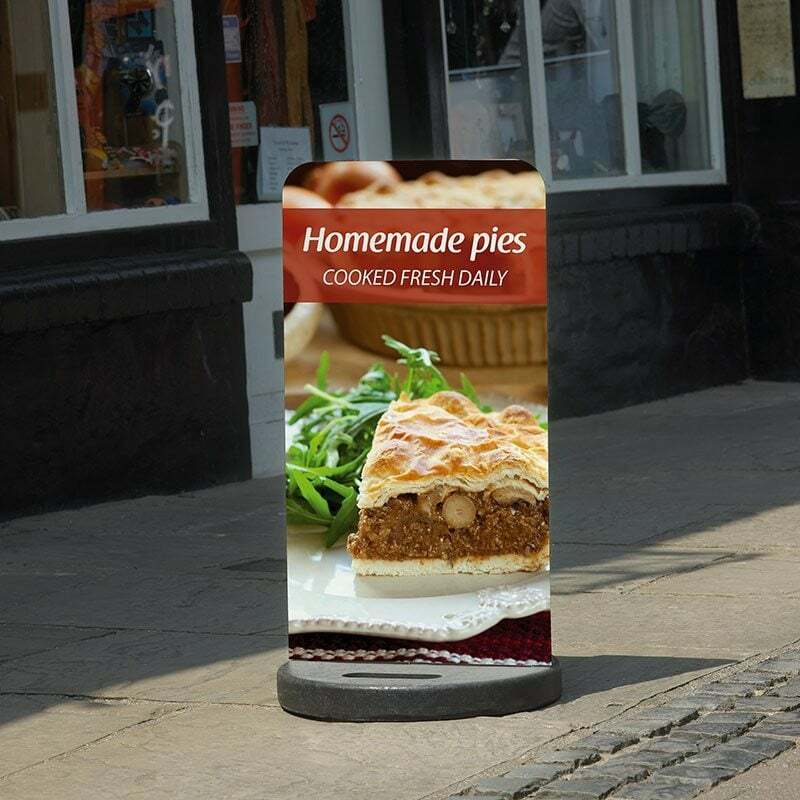 As this is a double sided pavement sign, you can send one or two artwork files. 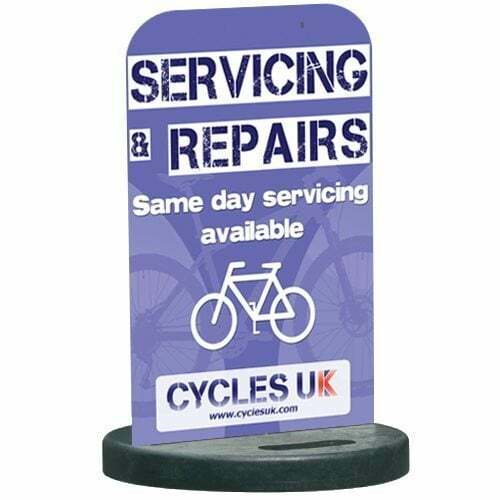 We can offer an Express Service on Pavement Signs should you require an even faster turnaround time. The Banner World Sign Wedge Pavement Sign is high quality yet budget-conscious pavement sign. 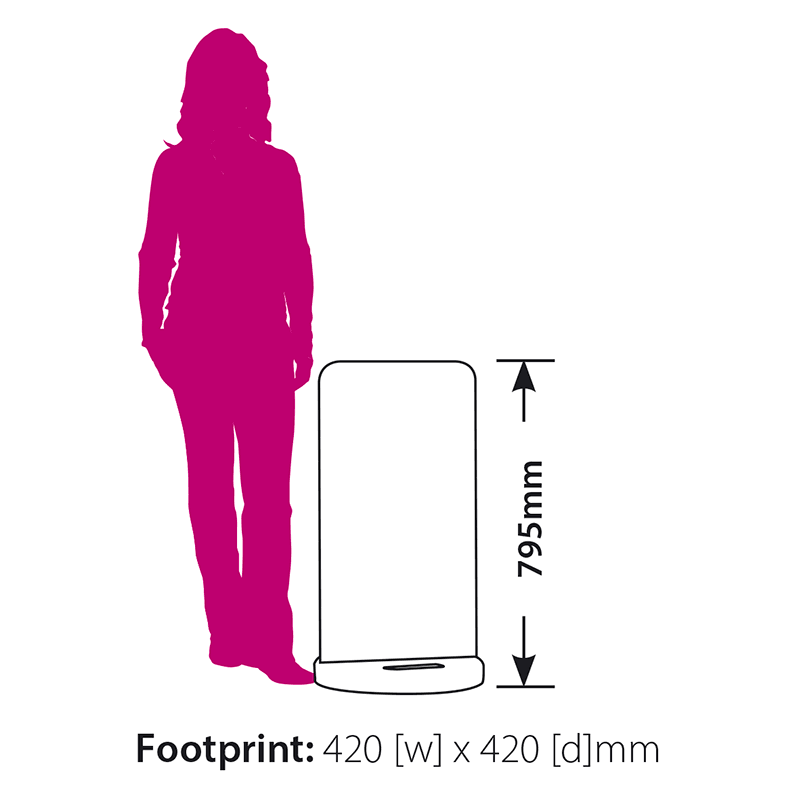 Featuring a high-impact recycled PVC base and a double-sided graphic panel measuring 410mm x 740mm. How can we produce a quality product so cost effectively? Simple. All our print jobs are batch processed which allows us to take advantage of the economies of scale. On a daily basis we are processing large format printing jobs from all over Europe. Your job, even if it is a one-off event pavement sign, will be printed alongside dozens or hundreds of others. 1440dpi full colour using fade-proof ink technology. Laminated for scuff and UV resistance.